In March 1935, the Case Memorial Building was dedicated. It provided three stories of classrooms, nurseries, parlors, and kitchens plus a chapel. All were badly needed since the Stone Church did not provide such facilities. 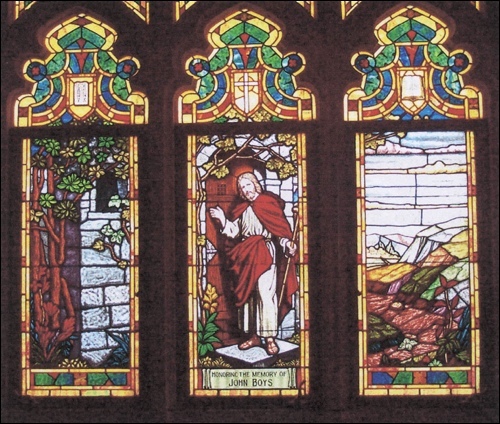 At the east end of the Third Floor is the stunning George Newell Window, “The Holy City.” It, along with the windows in the Chapel, were designed and installed by A. A. Leyendecker, who had been the assistant A. J. Andrew in the Sanctuary. By the time these windows were designed, the art glass style had gone out of favor and an earlier style was back in vogue. These windows rely on much more painting to create the designs. The glass was fired at a high temperature after being painted. The colors are intense and vibrant. The gold colored glass in the Third Story window appears almost like fire early in the morning. 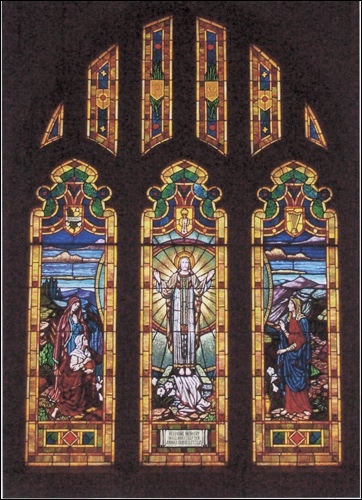 There are four more windows in the Chapel. The rear window is in honor of William C. and Anna Louise Little. It depicts three women at the empty tomb with the risen Christ dominating the scene in the center panel. 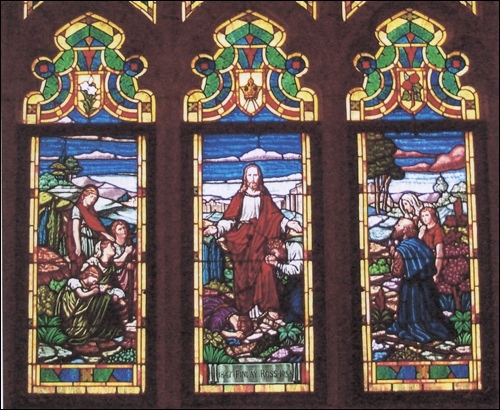 The north wall is filled by the window depicting “Christ at the Door” by Heinrich Hoffmann. It honors John Boys (1870-1924), a Wichita banker and member of the church. The south wall contains two large windows. 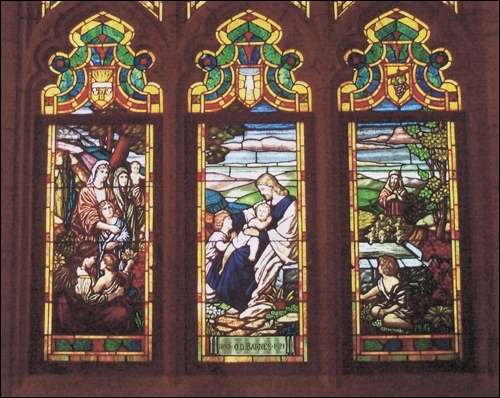 The southeast window is based on Bernard Plockhorst’s “Jesus Blessing the Children.” It honors O. D. Barnes, a prominent Wichita businessman and active church member. 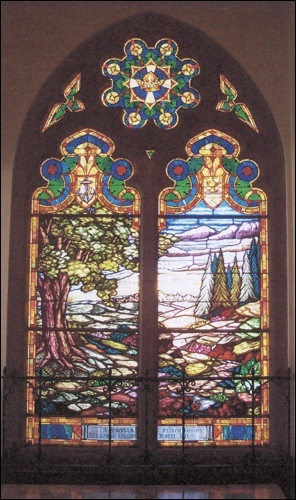 The final window, “Come Unto Me” also based on a painting by Plockhorst, honors Finlay Ross. Ross was a prominent civic leader, three times mayor of Wichita, and successful businessman. It is difficult to enter either of these worship spaces without being overcome with awe at their beauty. They seem to create a space in which the worshiper feels the special presence of God. The light, the color, and the images all speak in silent ways of the presence of the Almighty.